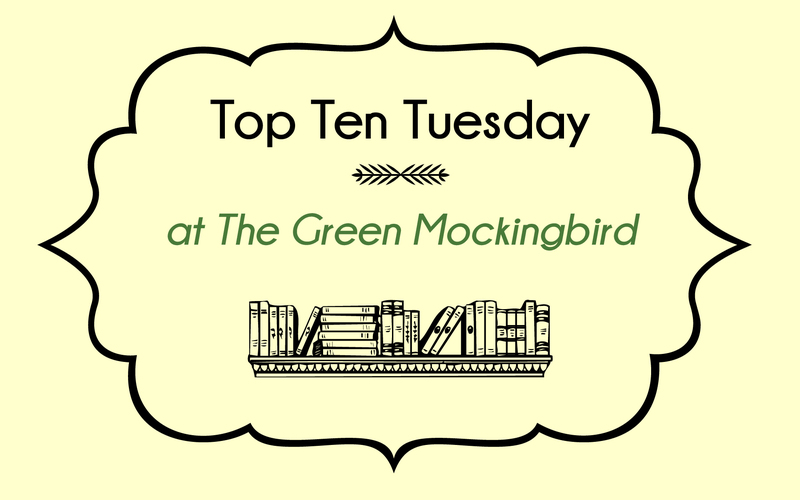 This week’s official Top Ten Tuesday topic is Top Ten New-To-Me Authors I Read In 2017. I’m listing 13 instead, *just* because I can. And, because each of these authors deserve a spot on my list. Some of these authors have been around a while and I just discovered/read them in 2017. And, some are delightfully new to the world of “official” inspirational fiction. After each author, you can visit my review for their book(s) and see what I have next to read from them on my actual shelves! Upcoming: Emerald City Romance book 2! Update: honorable mentions go to those authors I somehow missed! Karen Barnett, Meghan M. Gorecki, and Roseanna M. White. That’s it for today! Did you participate in this week’s TTT? Do you see any of your favorite authors on this list? Today’s topic is a “Back to School” Freebie! I’m taking a suggested idea of Books to Complement a History Lesson and turning it into a list of true history in fiction. I enjoy historical fiction — especially when I’m learning something new through story. I am allowing myself to go a *little* over 10 books (I’m listing 18 books in total). I hope you find a new era or event you’re interested in learning more about! 1520s The early Protestant Reformation and the true-life romance between the prominent protestant reformation starter Martin Luther and former Catholic nun Katharina von Bora. 1566 A Catholic girl’s changing perspective in Protestant Reformation-Era England. 1719-22 Early French settlement of New Orleans and the Louisiana area. 1757-1777 New York settlement and Native American involvement in Revolutionary War. 1777 Kentucky wilderness during the early American frontier– plus a little of Daniel Boone’s personal influence on its settlement. 1787 The “State of Franklin” dispute in the Appalachians and western North Carolina. 1857 The “orphan train” era, including working conditions and an inside look at poverty in immigrant communities of NYC. 1864 Andersonville prison in Georgia and its conditions toward the end of the Civil War. 1910s WWI England and post-war America, including the sinking of the RMS Lusitania, events on the England homefront, and a German internment camp in the Appalachians. 1917 WWI Belgium, with secret spy networks and methods (the heroine was inspired by 3 different real women). 1940 England and Dunkirk, France during the WWII evacuation event. 1940s WWII Auschwitz and the role of Jewish musicians/artists in concentration camps. 1941-45 America and Europe, late WWII conditions from a nurse and doctor’s perspectives. Fun fact: The couple in this story is based on the real-life parents of the author and includes much of their real-life correspondence during the war. What did you pick for this back-to-school week? Have you read any of the books on my list? What is your favorite era/setting for historical fiction? Do share in the comments! High as the Heavens is an absolutely beautiful and riveting story of perseverance, hope, and mercy against the backdrop of WWI Belgium. Author Kate Breslin is now a new favorite and I must read her other novels soon! This novel has all the appeal of –and promise to be– a classic in its genre: a vivid sense of place; plot elements inspired by real life events and people; relatable and complex characters; a romance that surprises and leaves you breathless with its strength; and, secrets, danger, and espionage (oh my!). Drawing on the logistical complexities and melting pot of nationalities involved in The Great War, the suspenseful storyline keeps a steady pace with twists and makes the reader question just who to trust or believe. I have a new respect for Red Cross personnel who worked behind enemy lines, and citizens who risked so much while participating in underground communcations networks like La Dame Blanche. The espionage storyline alone had me nervous for Eve, Simon, and several other people who worked with them! Ok, now to talk about my favorite part of High as the Heavens: the romantic tension!!!! To say all I want to would give away an early surprise or two, so I’ll just have to tell you that Eve and Simon have a history. A close one. His literal crash back into her life is way more complicated than the synopsis hints. Because of this, they are both challenged with trust and the secrets they each harbor. This further complicates the way they must prioritize loyalties to family and country, but especially to each other. In their frustrating circumstance, the strength of the romance between the two of them is delightfully uncovered and shines a light on an overarching theme of hope. And oh, how their soul-deep connection is beautifully penned by Kate! I especially appreciated how Simon’s role embodied the characteristics of love — its patience, mercy, and edurance. If you are a fan of history, WWI, romance, or even suspense, I say you should read this novel ASAP! Even if historical fiction is not your normal genre. If you want a second opinion, check out my author friend Rachel McMillan’s gushing review that convinced me to pick it up in the first place ;). 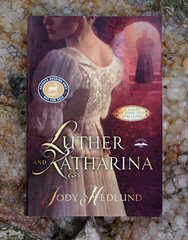 Thank you to Bethany House Publishers for the complimentary review copy of this novel. This is my honest review.